Blinds Direct News - View our latest updates and prodcuts today. We are always working hard on our store, so we regularly update our news on blinds direct for your convenience. We continue to increase our range and proudly the first to provide “Creative Blinds Range”. Honeycomb cords blinds launched, other ranges to be launched shortly. Our monthly competitions are BACK! Send your pictures and order number to enter. Offices reopen 8th January 2019. New ranges and products to be launched this month – More to come so register and watch this space. Offices closing 21st December but we continue to check email daily. Happy holidays. Second winner of our monthly competition. Congratulations Ryan from Centurion, Gauteng. Refreshed Blinds Direct website launched – Looking great. New Plaswood range launched, 25% Lighter in weight with larger ranges. First winner of our monthly competition. Congratulations Clarissa from Brackenfell, Western Cape. Win with us monthly promotion launched. Send a picture of your installed blind and order number to enter in our competition. Blind Direct now offers Mobicred so you can “Shop now and pay later”. We have increased our stylish Roman range. Where possible allowed for larger roller widths and drops, this will where possible allow for single blinds to be installed. We have increased our stylish Roller range. Where possible allowed for larger roller widths and drops, this will where possible allow for single blinds to be installed. Competition winner announced for our “Win a Bosch Drill”. Our website securty has been enhanced for your internet safety. New HoneyComb blinds ranges received and due to launched this month! Again we bring widest range to the South African market. Competition winner announced for our “Somfy Win a comfort kit for your home”. Great social media competition and looking forward to bringing more in the new year. Factories only reopening 15th Jan 2018. We are still able to accept and process orders. 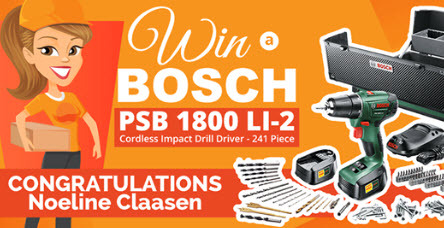 Competition winner announced Win a Bosh gsr 1800-Li Professional Drill/Driver. Shutter and roller prices updated due to South African price increases. Savings Direct office relocated to spanking new offices with great views of panoramic Cape Town. Blinds Direct launching three month marketing drive with multiple publishing agents. Once again we are taking the market by storm and going from strength to strength. New exciting ranges expected to launch in month of September. Launch of the Win a Bosh gsr 1800-Li Professional Drill/Driver. Competiton ends 30th Aug 2017. Blinds Direct offices will be moving SOON!! We are excited with our new office currently under construction. With panaramic views of Table Mountain, what more could we ask for. Pictures to be revealed in September. SO EXCITED! We strike again, made to measure outdoor natural bamboo roller available from our store. Exceptionally well-priced and great looking product. Blinds and shutter orders closing 7th December 2016 for 2016 delivery. We will continue to accept orders for New Year delivery. Blinds and shutter orders have closed for New year delivery. We would like to take this opportunity to thanks our loyal customers and wish you a Merry Christmas and a Happy New Year. Blindsdirect.co.za enables SSL encryption for your increased security. Blinds Automation is launched. Venetian offering available. Security shutters with professional installation now available. GeoTrust daily scanning now implemented for your security. Your shopping security remains our priority. Proud to announce Blinds Direct now also supplies made to measure curtains. Curtain suppliers in place and final touches before we go live. Testing of blinds automation devices begin – we are really excited to bring another first to South Africa. Shutter price increase due to USD exchange rate applied :-(. Blinds Direct announces new competitions starting April. Blinds Direct announces made to measure and ready made curtains to be launched in April. Proud to announce our website will be window covering Superstore. Offices reopened 11th January 2016. Offices closure from 23rd December 2015. Additional Roller Metalic range added. Roller & Roman “Design range” added. DIY Indoor Wood-Look PVC Shutters launched. We are proud to once again be SA’s first shutters online store. Win a laser printer monthly give away announced – Comes to a close. Printer for orders over R10 000 promotion comes to a close. Ultimate Roller & Roman discontinued. Win a laser printer monthly give away announced – Runs till September 2015. Blinds Direct adds quote calculator. 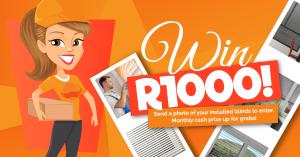 Buy over R10 000 worth of blinds and receive a free laser printer. New BlindsDirect Website Launched – Many more exciting things to come :-). New Double Roller range added. New Basswood Bold range added. Additional Vertical Blinds range added. Made to Measure Curtains launch announced – To be included in new website launch. Collaboration with “Creative Blinds” announced – Further updates to follow. Coolaroo December Shade sail competition winner announed. Factories announced mid month closure. Panel Centre Opening blinds now offered. 25mm Plaswood and Basswood Venetian blinds discontinued. 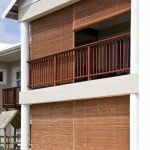 Bamboo Venetian blinds now offered. Roman Classic Blinds Manhattan fabrics now offered. Additional Vertical ranges now offered. Extreme Shade and Sails now offered. Ready to hang Shade and Sails now offered. Outdoor Sheerweave Roller now offered. Instant Paper Blinds | Redi Shade blinds now offered. Vertical Printed blinds now offered. Roller Printed blinds now offered. Launched the Double Roller lightly perforated and perforated range. Bamboo Stylish Roller (Classic/Stylish roller) range now offered. Additional Roman and Roller fabrics added. Additional Basswood and Plaswood range expanded. Now offering export outside of South Africa. Roller range of Stylish now includes Suede and Riveira range. Vertical range expanded to includes additional 22 fabrics. 25mm Plaswood and Basswood now included. Blinds Direct featured on Property24.com. Blinds Direct featured in Home-Dzine website and newsletter. Phase 2 of changes to our website applied for your easier shopping pleasure. Factories have now closed but we are still taking blinds orders. Additional colours and fabrics in Jan 2014. Now listed with GetKedos for client reviews. Launch of “Blinds for Charity” – ship your old blinds to us, we will service/repair and provide to charity on your behalf. Discussion blog page now available – Another service allowing our clients to express ideas, views and experiences. Blinds measuring sheets now available, you can now capture all your blinds requirements on a single form. Another service we office to make your experience that much easier. How to video’s uploaded with links on our website to youtube for your conveince. Blindsdirect.co.za proud to include a wide range of high quality shutter solutions utilsing only approved installers country wide.